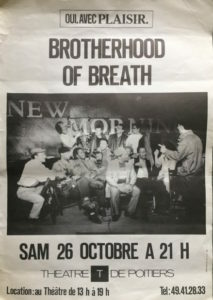 It was strange to be back, after all these years, in a band that I used to criss-cross France with, reading Alfred Jarry en route to a Parisian club or a mosquito-plagued festival in the bay of Marseilles. 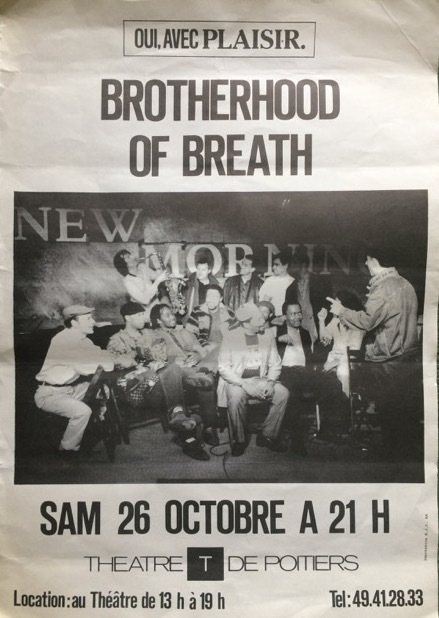 It’s good that Chris McGregor’s amazing music lives on, and that the 100 Club could be filled with people who still cared about The Brotherhood of Breath. Let’s hope that someone will risk putting this riotous band onstage again. The Mick Collins Legacy Jazz Orchestra didn’t quite manage to round off the month with that gig at the Ivy House, due to some shenanigans with labour relations at the pub, but that has apparently been resolved, and the band will try again in a few weeks. Possible trombone poetry offering between 17:00 and the 19:00 finish. This entry was posted in Trombonicle and tagged Deptford, jazz, Soho. Bookmark the permalink.